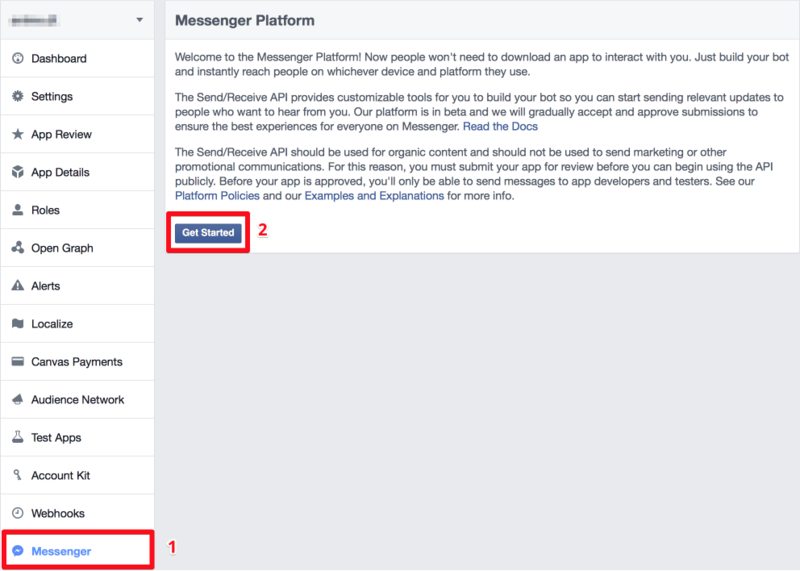 Step 3: After choosing (or creating) an app: on the left navigation, click “Messenger”, then on the right, hit the “Get Started” button. 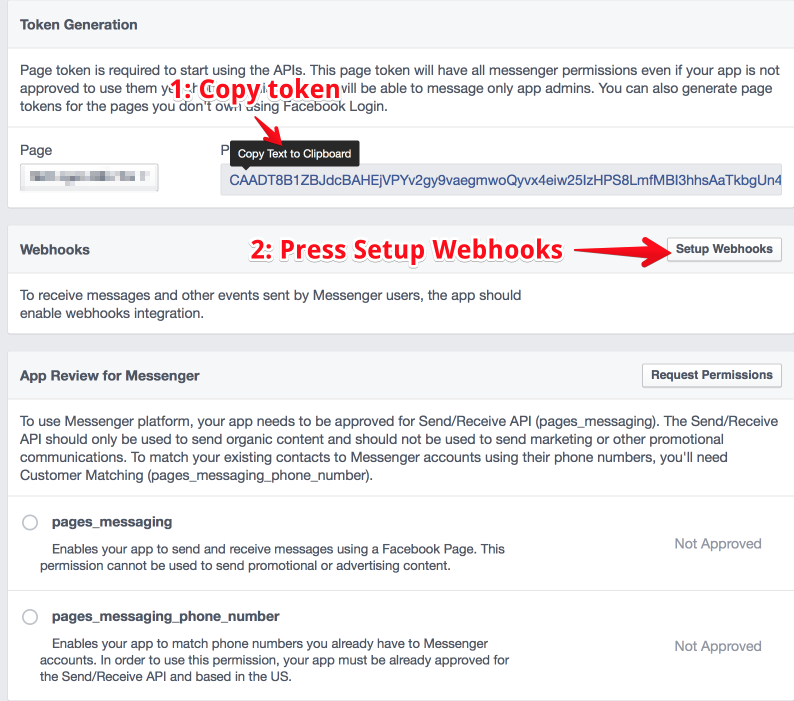 4.3: Then, you must copy the token generated on the page, and click “Setup Webhooks” button. 4.4: On your web browser, open a new tab or new window, go to your WordPress site’s backend, and go to the Settings > Facebook Bot Settings page. 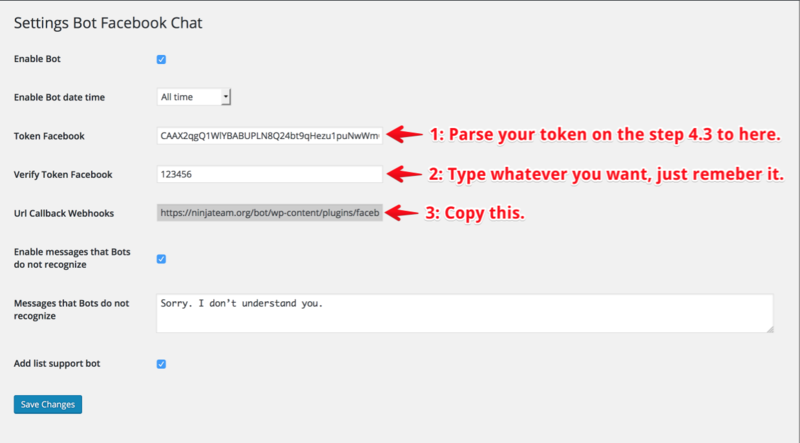 Parse to the “Token Facebook” field the token you’ve copied in step 4.3. On the “Verify Token Facebook” field, type whatever you want, for example: I type 123456. Copy the URL on the “Url callback webhooks” field. Finally, press “Save Changes” button. Parse the URL that you’ve just copied from step 4.4 to “Callback URL” field. Do you remember the token I said you have to remember on step 4.4? 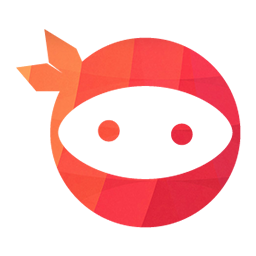 Parse it to “Verify Token” field. On the “Subscription Fields” block, check all checkbox fields. Finally, click “Verify and Save” button. 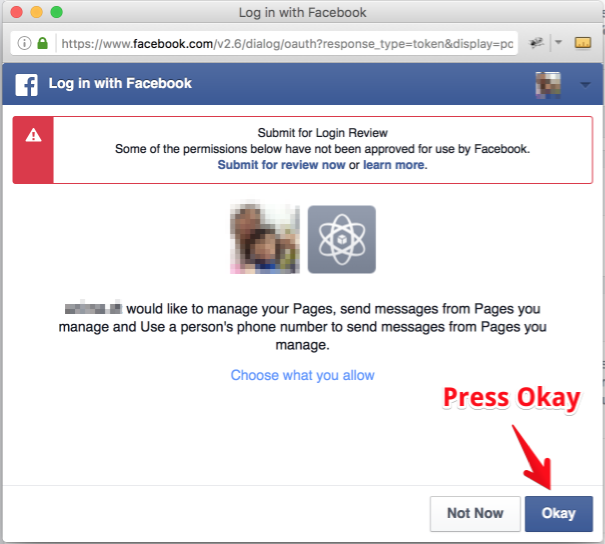 You have to send a request to facebook, and wait for approving (it will take some days or more). If not, your BOT will work only with admin accounts. 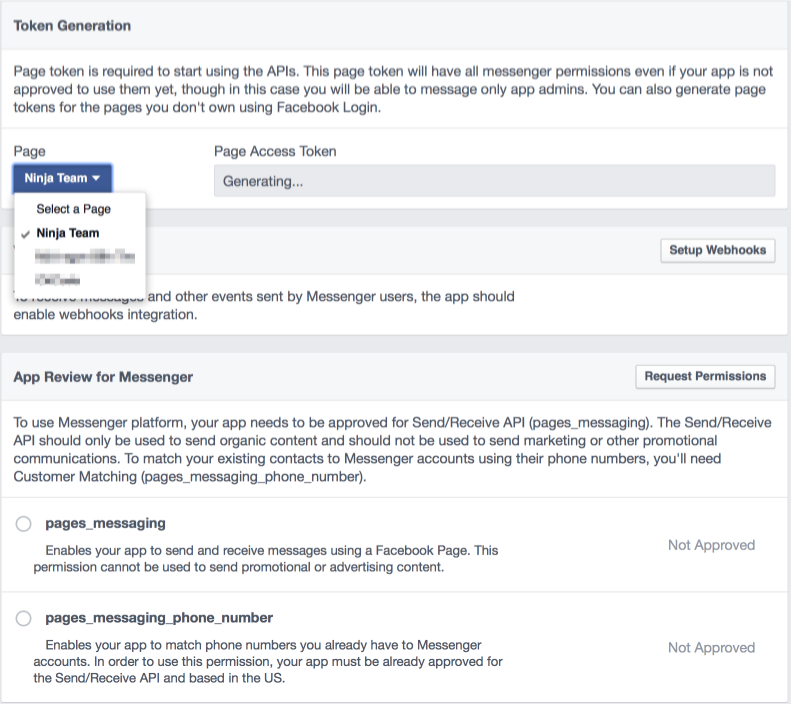 If your app approved, your facebook bots will be able to send messages to everyone.